Here is your complimentary copy of "Healthy By Design",I pray that God blesses you beyond your wildest dreams !! Thank you again with your helping in bringing this project to fruition. 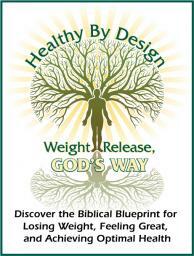 Please right click on the title "Healthy By Design, Weight Release God's Way' above and click 'save link as' to save it to your computer.